Dimensions 1 by 6 by 9 in. Noo Saro-Wiwa was brought up in England, but every summer she was dragged back to visit her father in Nigeria Â a country she viewed as an annoying parallel universe where she had to relinquish all her creature comforts and sense of individuality. After her father, activist Ken Saro-Wiwa, was killed there, she didnât return for several years. Recently, she decided to come to terms with the country her father given his life for. 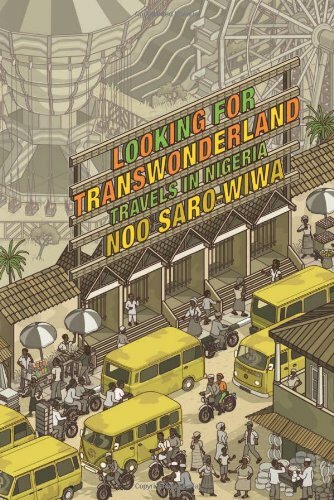 Saro-Wiwa travels from the exuberant chaos of Lagos to the calm beauty of the eastern mountains; from the eccentricity of a Nigerian dog show to the decrepit kitsch of the Transwonderland Amusement Park. She explores Nigerian Christianity, delves into the countryâs history of slavery, examines the corrupting effect of oil, and ponders the huge success of Nollywood. She finds the country as exasperating as ever, and frequently despairs at the corruption and inefficiency she encounters. But she also discovers that it si far more beautiful and varied than she had ever imagined, with its captivating thick tropical rainforest and ancient palaces and monuments. Most engagingly of all, she introduces us to the many people she meets, and gives us hilarious insights into the African character, its passion, wit and ingenuity. About: Noo Saro-Wiwa was brought up in England, but every summer she was dragged back to visit her father in Nigeria  a country she viewed as an annoying parallel universe where she had to relinquish all her creature comforts and sense of individuality.